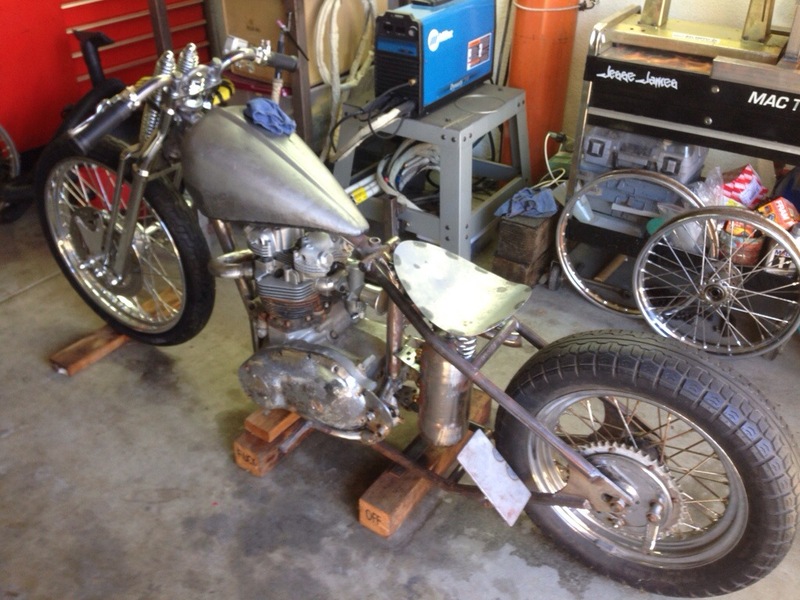 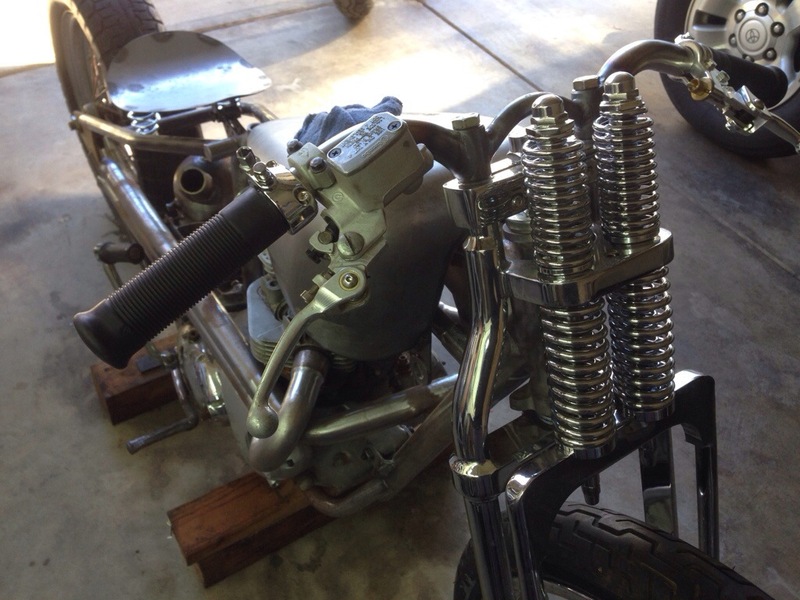 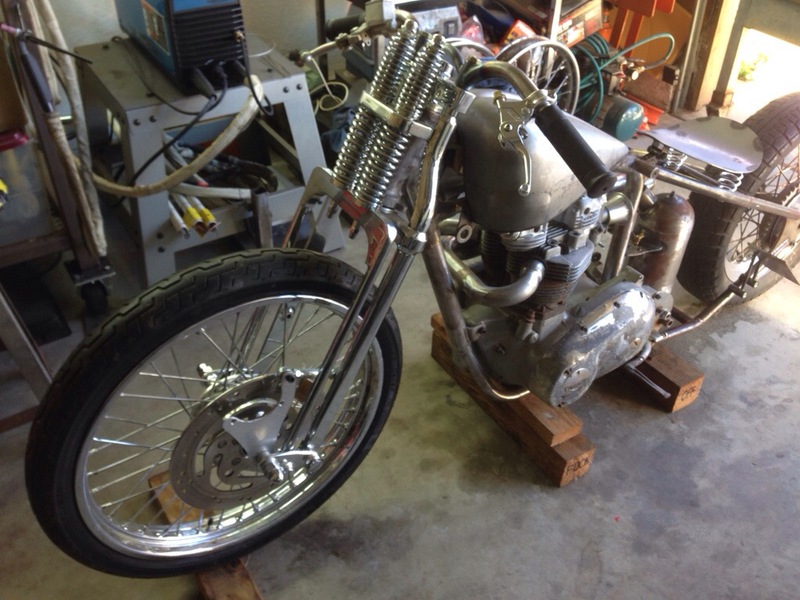 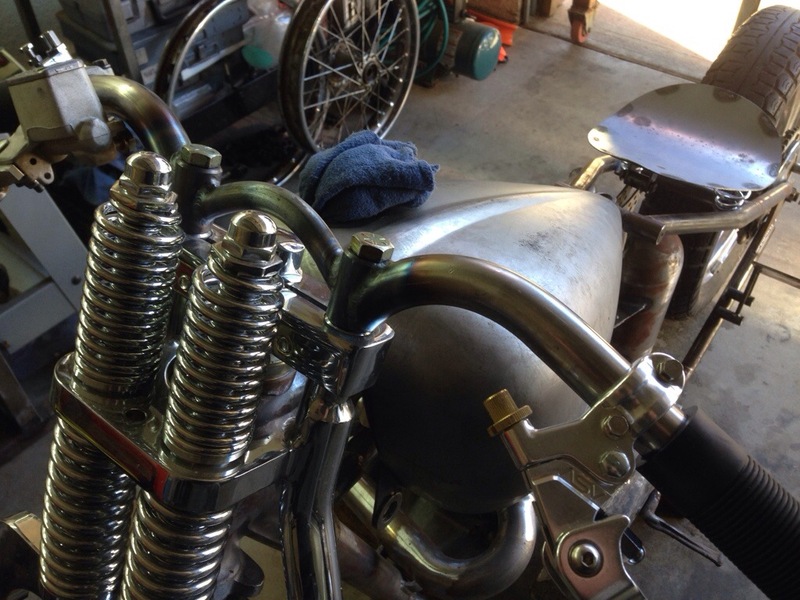 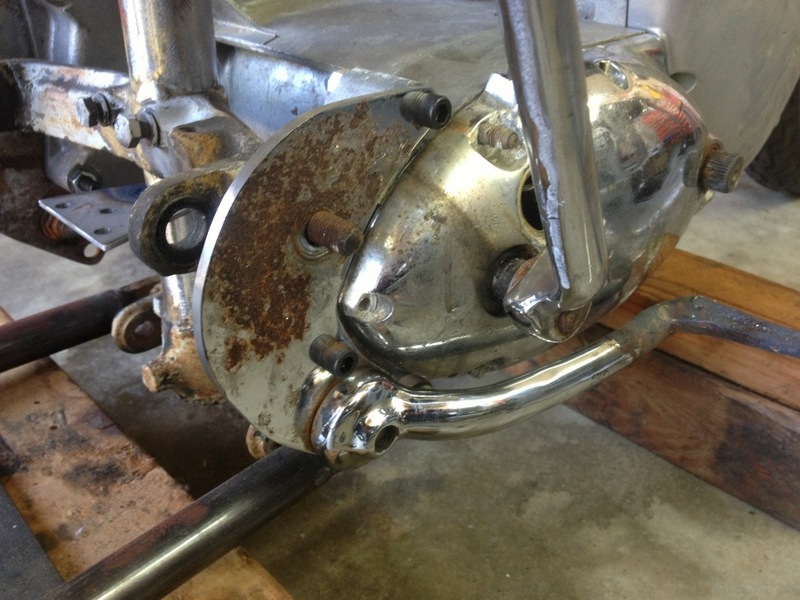 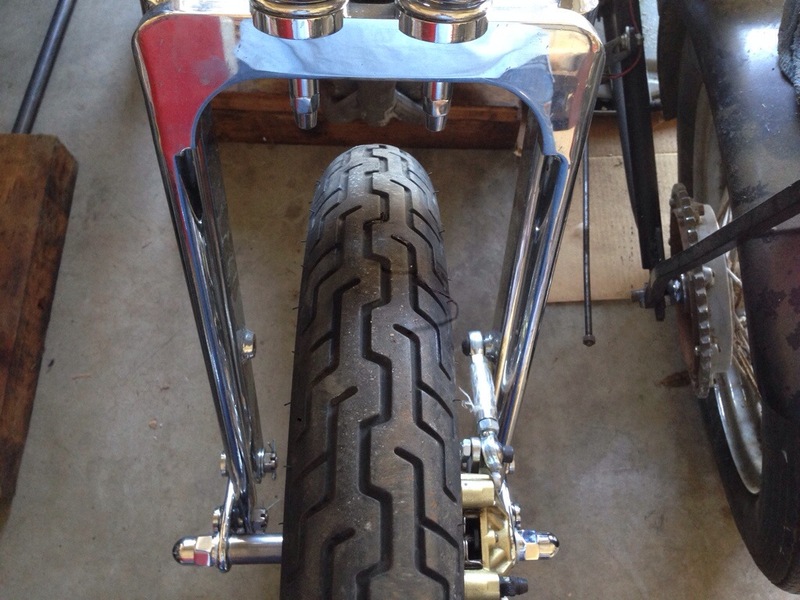 This project was sold and up next is a 1960 Triumph Pre Unit. 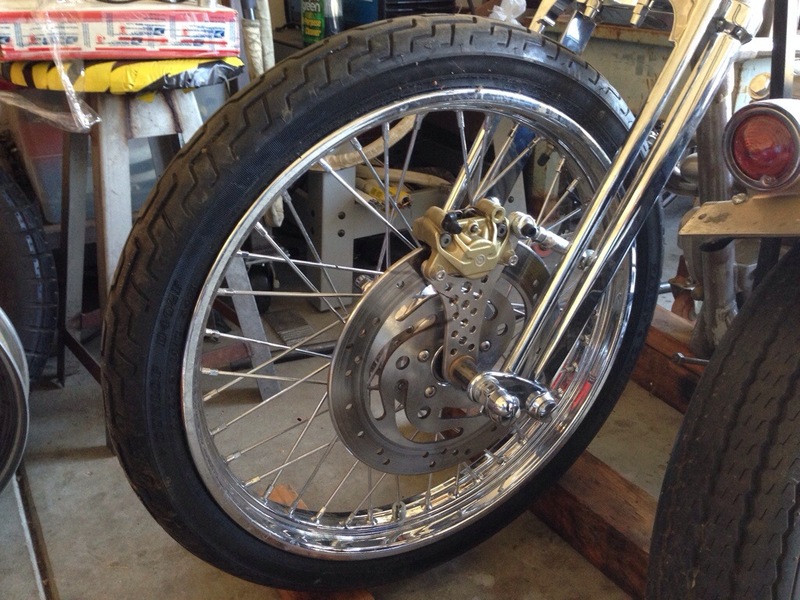 Finally the front brake is setup with a custom brembo setup and mock up rotor. 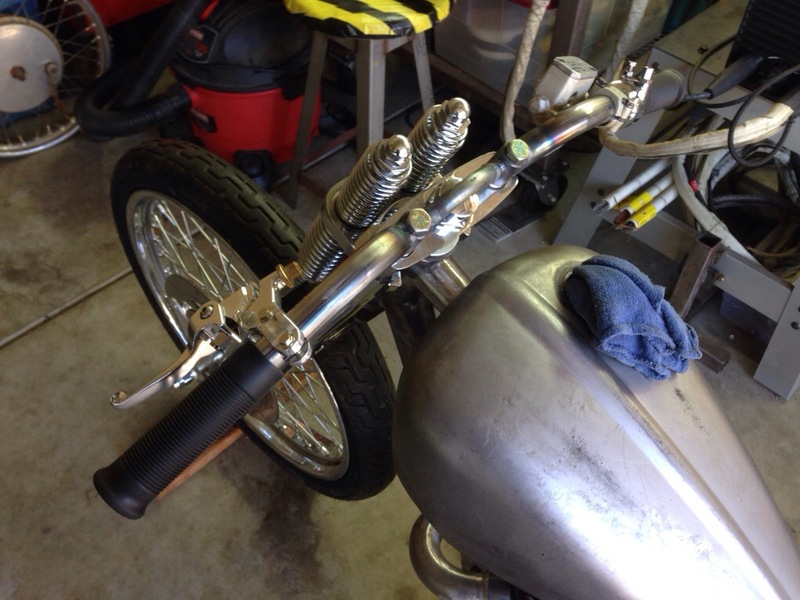 It’s been a while since I had some updates but the seat mount is done and tacked and the handlebars are finished. 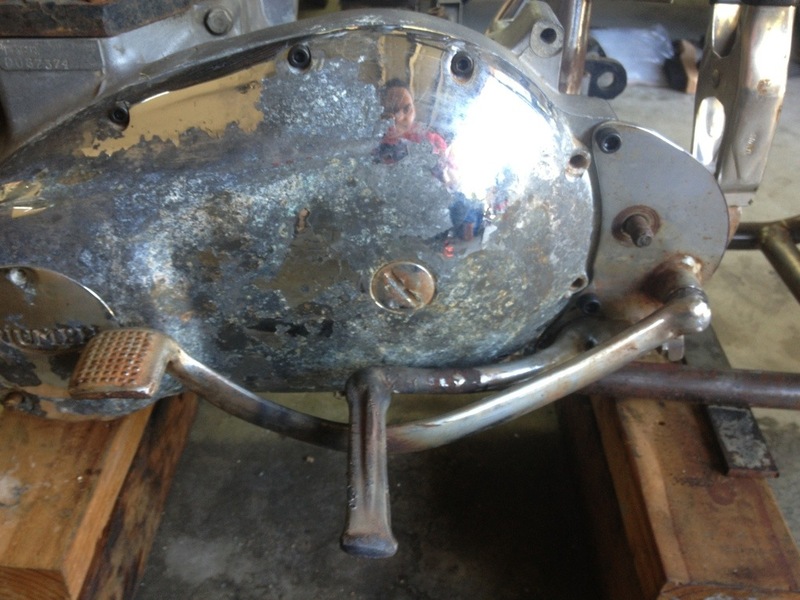 1955 Triumph Pre Unit Front Loop Sold. 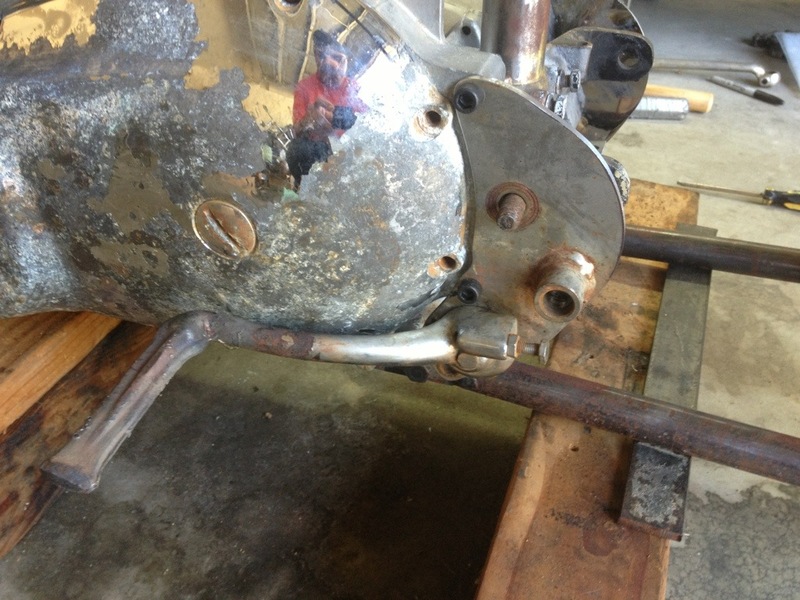 Foot mounting brackets are now reworked.